Lisa Harper-brown is a past first prize winner of the vocal section of the AUSTRALIAN BROADCASTING CORPORATION‘s YOUNG PERFORMER AWARD and a recipient of the AUSTRALIAN SINGING COMPETITION‘s FAIGEN AWARD, which enabled her to study at the BRITTEN-PEARS SCHOOL. 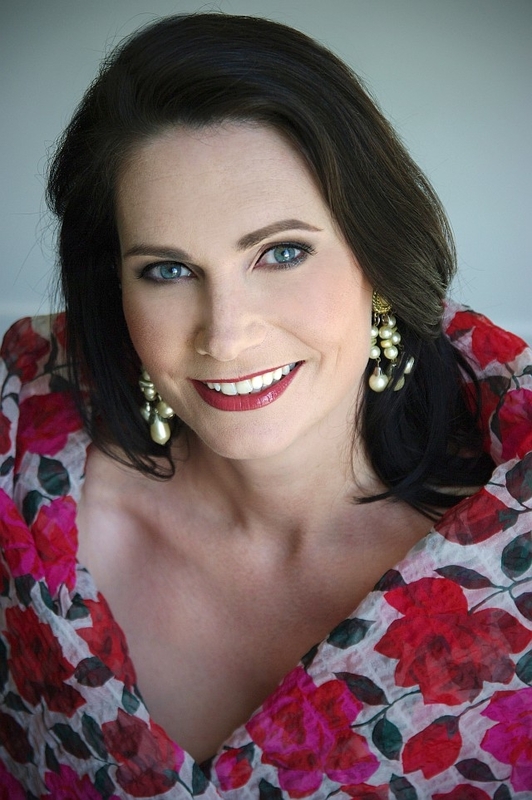 Her first operatic engagements were for the WEST AUSTRALIAN OPERA where, between 1994 and 1996, she appeared as The First Lady in THE MAGIC FLUTE, in the title rôle of Handel’s ALCINA and as Rosalinde in DIE FLEDERMAUS. She made her debut for OPERA AUSTRALIA in 1997 appearing as the First Lady in the OZ OPERA touring production of THE MAGIC FLUTE and singing Pamina in the company’s Melbourne season of THE MAGIC FLUTE. Of subsequent performances of Helena in A MIDSUMMER NIGHT’S DREAM, THE AUSTRALIAN wrote, …the lustrous Lisa Harper-Brown, a goofy Joyce Grenfell-esque, Helena… and of Fiordiligi in COSI FAN TUTTE, of which THE HERALD SUN reviewer said, …her dark edged soprano promises a thrilling future., and THE AUSTRALIAN called her, … a knock-out as the febrile Fiordiligi., while the SYDNEY MORNING HERALD reviewer said she was, …. a delightfully sensuous Fiordiligi… constantly focussed. OPERA~OPERA declared, The secret, on this occasion, to exciting success was in the casting of Fiordiligi. She is a difficult performer to forget, tall and willowy, …. a committed actor… I found (her) performance satisfying in a way that is rare at the opera.. As Elsa in LOHENGRIN,in both the company’s Sydney and Melbourne seasons, THE TELEGRAPH wrote, It was a night of superlatives. Lisa Harper-Brown made a heart stopping debut as the tragic Elsa, while the SYDNEY MORNING HERALD said, The one reason why… Lohengrin is a satisfying experience overall, is that it has in the young soprano, Lisa Harper-Brown, a performer who can make us believe in the character of Elsa. Harper-Brown, willowy, eager and vulnerable might well have posed for a pre-raphaelite portrait of the character. OPERA~OPERA wrote, Winning hearts was the Elsa of Lisa Harper-Brown, a tall, beautiful and elegant soprano., and writing of her performances of The Countess in THE MARRIAGE OF FIGARO, OPERA~OPERA said, …excellent. She added a depth of musical perception to those two great arias, particularly Dove sono. Her other roles for OPERA AUSTRALIA include Elisabeth in TANNHÄUSER and Eva in DER MEISTERSINGER VON NÜRNBERG, Pamina in THE MAGIC FLUTE and Donna Anna in DON GIOVANNI, Agathe in DER FREISCHÜTZ, Belinda in DIDO & AENEAS, Rosalinde in DIE FLEDERMAUS, Echo in ARIADNE AUF NAXOS and Diana in ORPHEUS IN THE UNDERWORLD. She has appeared as Ortlinde in the STATE OPERA OF SOUTH AUSTRALIA’s seasons of DIE WALKÜRE, a role she has also sung for the NEW ZEALAND SYMPHONY ORCHESTRA, she has been engaged as Musetta in LA BOHEME by OPERA QUEENSLAND and as Donna Anna in DON GIOVANNI by OPERA NEW ZEALAND. Other appearances in New Zealand include the role of Elizabeth I in Donizetti’s MARIA STUARDA for DAYS BAY OPERA in Wellington. In Europe her roles have included the First Lady in THE MAGIC FLUTE for HAMBURG STATE OPERA. On the concert platform her performances include being soloist in Gorecki’s SYMPHONY OF SORROWFUL SONGS for the UNIVERSITY OF WESTERN AUSTRALIA, Mendelssohn’s ELIJAH with fellow-soloist British baritone, Benjamin Luxon, Dvorak’s STABAT MATER for the PERTH INTERNATIONAL FESTIVAL Verdi’s REQUIEM with the NEW ZEALAND SYMPHONY ORCHESTRA, Barber’s KNOXVILLE, SUMMER OF 1915 with the MELBOURNE SYMPHONY ORCHESTRA and the SYDNEY SYMPHONY ORCHESTRA‘s SYMPHONY UNDER THE STARS in the SYDNEY FESTIVAL of which the SYDNEY MORNING HERALD said: Lisa Harper-Brown…the clarity and precision of her voice had the crispness of summer wine. Yes, thank you, some more please. Lisa Harper-Brown appeared in THE RINGTONE CYCLE in a season of five performances at the MELBOURNE RECITAL CENTRE as part of the program of 2013 MELBOURNE RING FESTIVAL which ran alongside OPERA AUSTRALIA‘s production of Wagner’s RING CYCLE; the piece written for her and the SERAPHIM TRIO by Graham Koehne and which she originally premiered at the 2012 ADELAIDE FESTIVAL.